I wouldn’t call myself a crafty person but I do like to create things on occasion. It’s cheap therapy. I am also into doing my part to reduce waste and so I like to reuse, recycle, repurpose whenever I can. If something artistic or useful results from it, that’s a fringe benefit. I also like to drink wine. I don’t really have a preference but it seems that I drink (and serve) more red wine in the winter and more white varieties in the summer. I like to do my part for the environment as well and repurpose the corks instead of having them end up in a landfill. Here is a way to remember the enjoyable wine experiences among friends with a memento while being environmentally friendly at the same time. * Several hours (I did the first layer on one day and the second layer the next). 1. Tie a string in one or two places on the straw wreath to enable you to hang it later. 3. 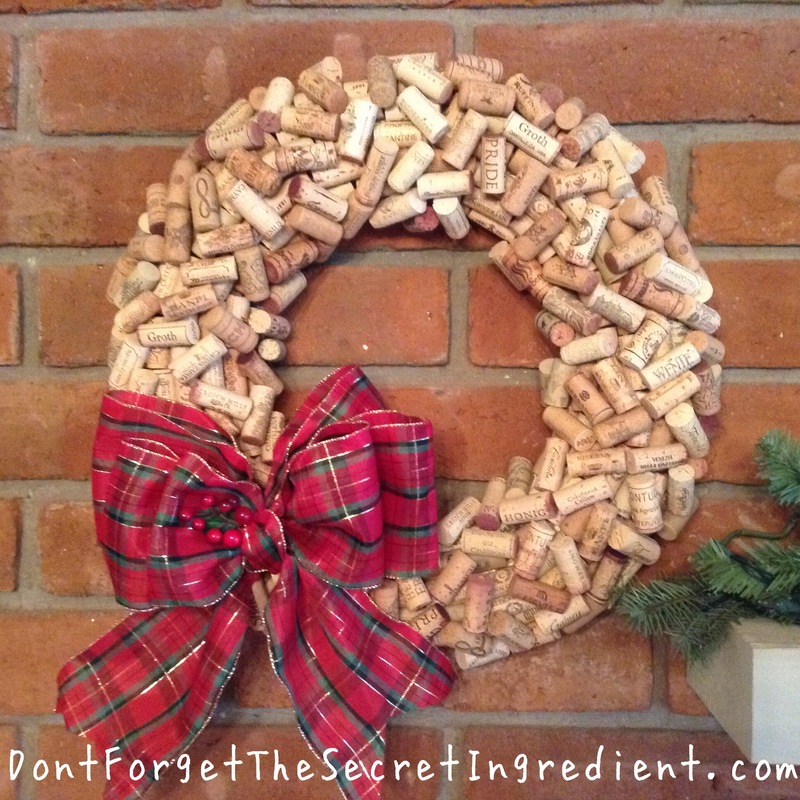 Add about 7 rows of corks for a small wreath ( 10 rows for a large wreath) so that the entire viewable base is covered. No need to cover the back as it will hang flat on a wall. I use the less decorative corks or those that I have a lot of for the first layer. (The first layer will take roughly 150 corks for a 17″ wreath and roughly 270 corks for a 21 inch wreath).